Hey Lovelies! 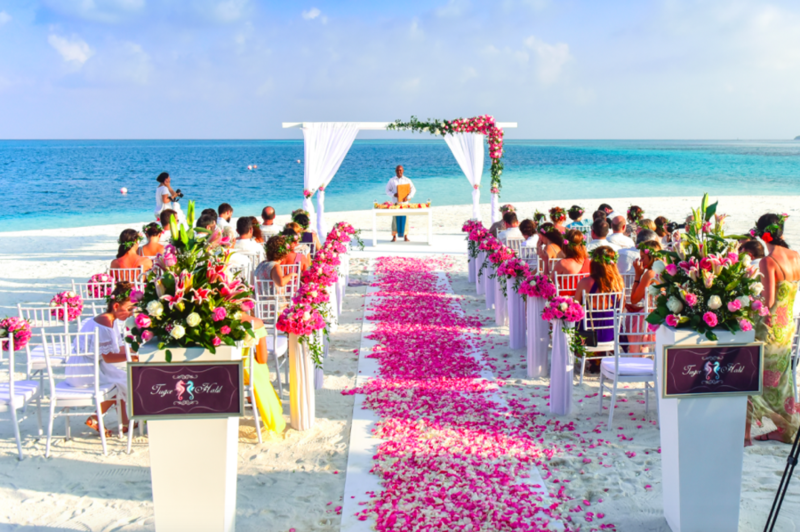 Today we have a special guest post all about destination weddings. Destination weddings are popular because they you the opportunity to truly interact with your guests over a longer period of time…in a gorgeous setting! Destination weddings can also have a lot of cost savings. 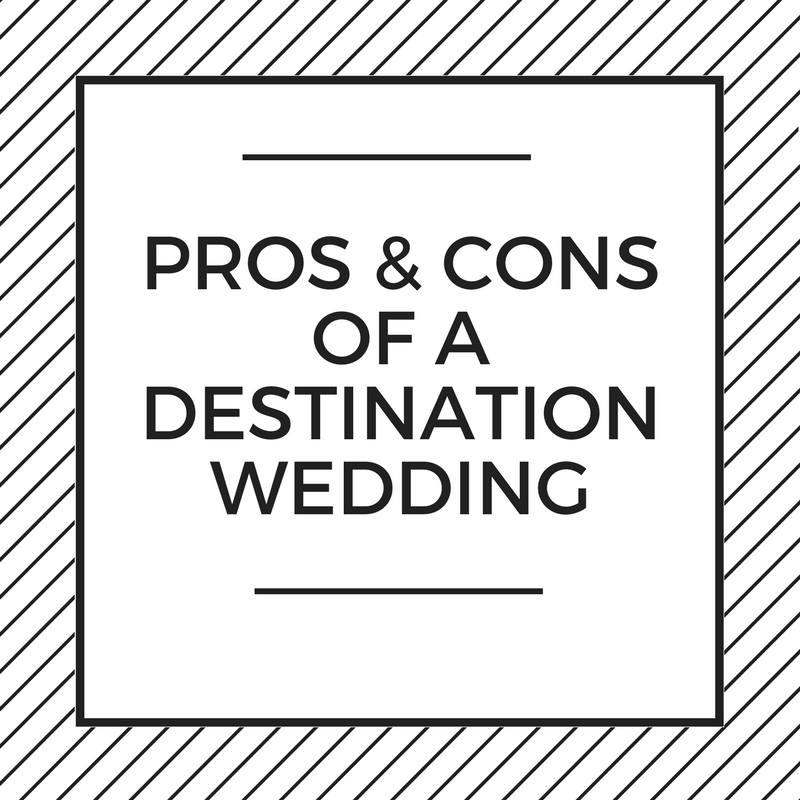 There are a lot of pros and cons of destination weddings and this post will take you through all of them! Regardless of how much you love your sweetie, wedding stress can cause even the most homebody brides to consider eloping. Though once considered taboo, for some couples, a destination wedding has become the new normal. Should you stay or should you go now? That all depends on what you define as priority. Before you decide to hit the road and eschew traditional nuptials, consider these pros and cons of a destination wedding. PRO: Combining your wedding and honeymoon makes your ideal locale possible. When you don’t have to worry about saving separately for a honeymoon, you have a literal world of possibilities available. Simply pick your dream destination and get to booking! Imagine the sweet relief of waking up the day after saying ‘I do’ and instead of rushing to the airport, you simply head down for breakfast in your own personal paradise. CON: Your honeymoon may feel less romantic with family around. We can’t blame you for wanting to get a head start on your honeymoon. However, if you’re surrounded by family, is it really much of a honeymoon? Your loved ones are likely just as excited as you to start exploring or catch some restful rays after the stress of your big day subsides. In short, be prepared to have to fight for ample romantic alone time. PRO: Less total overhead and stress for the happy couple. Popular resorts and destination spots often specialize in wedding elopements. Many offer all-inclusive packages that make the cost of your ceremony more economical than a traditional wedding. Plus, the smaller the guest list, the fewer reception costs you’ll have to spend for. It’s also not uncommon for these destination wedding packages to include a coordinator who helps settle all the details. Thus, cutting the stress of wedding planning entirely. CON: Guests may be unable to afford their share. Even if you’re only asking guests to cover the cost of their airfare, it could preclude some from coming. The flight alone could throw their budget for the year, especially if you’re headed abroad. This can be especially true of loved ones with small kids. Multiple plane tickets can quickly absorb a family’s excess savings. PRO: Invites only go out to those you really care about. 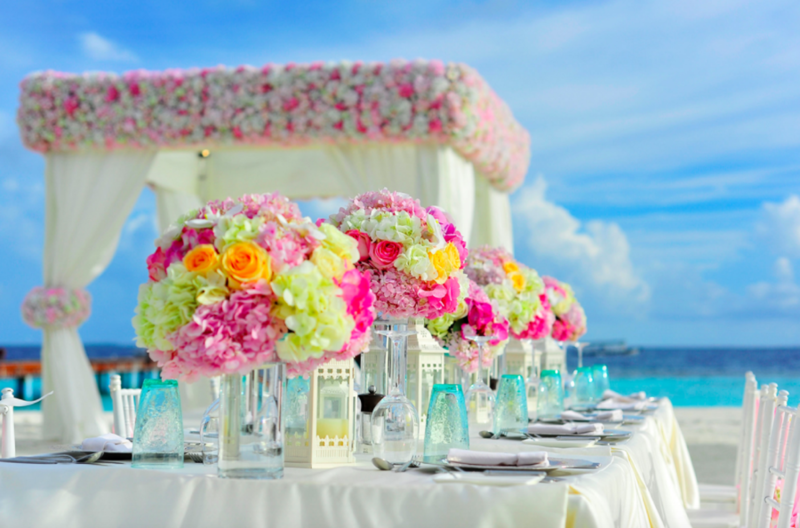 Destination weddings are the perfect opportunity to plan a smaller event. Doing so gives you a chance to share your love with only the most important people in your life. It also alleviates unnecessary pressure to invite peripheral acquaintances or long lost family members. If your sense of obligation is causing your guest list to swell, consider getting away. CON: Limited guest list could hurt feelings and prevent special invitees from coming. Most brides brace for some mild backlash once the invitations get mailed. But culling your list down to only essential family and friends can quickly lead other loved ones to feel left out. On the reverse side, important loved ones may have to miss your big day. Older relatives especially may find travel too physically taxing. And there’s no guarantee your childhood best friend can take off work to help celebrate your love. In the end, there’s a reason getaway wedding destinations have become big business in the last few years. Still, that doesn’t mean they’re a match made in heaven for every couple. 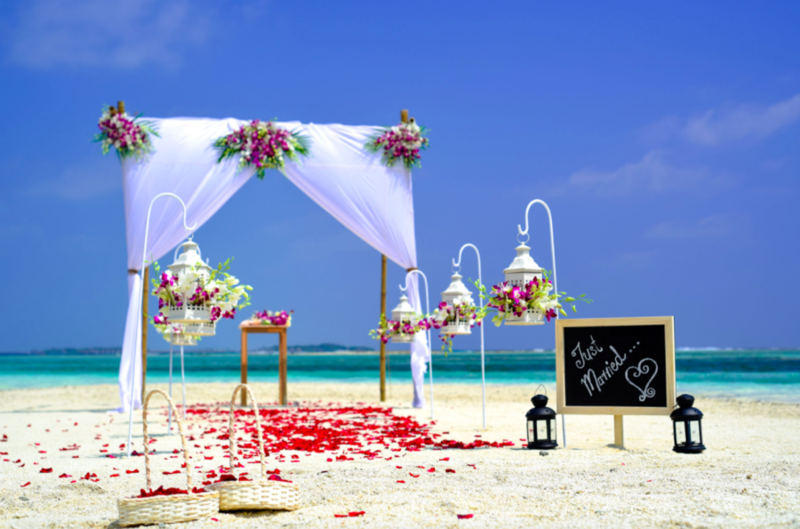 Understand what you’re giving up before saying ‘I do’ to a destination wedding.